An informal, creative day making a small mosaic plaque. We will start with a short overview of the various methods, approaches and possibilities of mosaic making before focusing on the techniques of the art including materials, cutting, adhesives and grouting. 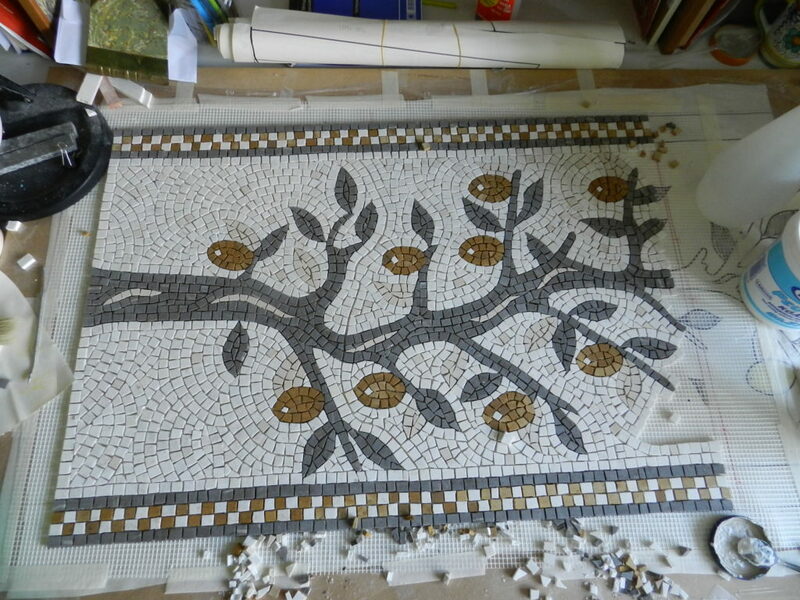 You will then work on your own mosaic, either using your own design or choosing from a selection of pre-prepared templates. Your mosaic will need time to dry so the class will include a grouting demonstration and you will take home a small bag of grout and instructions to finish the mosaic at home. 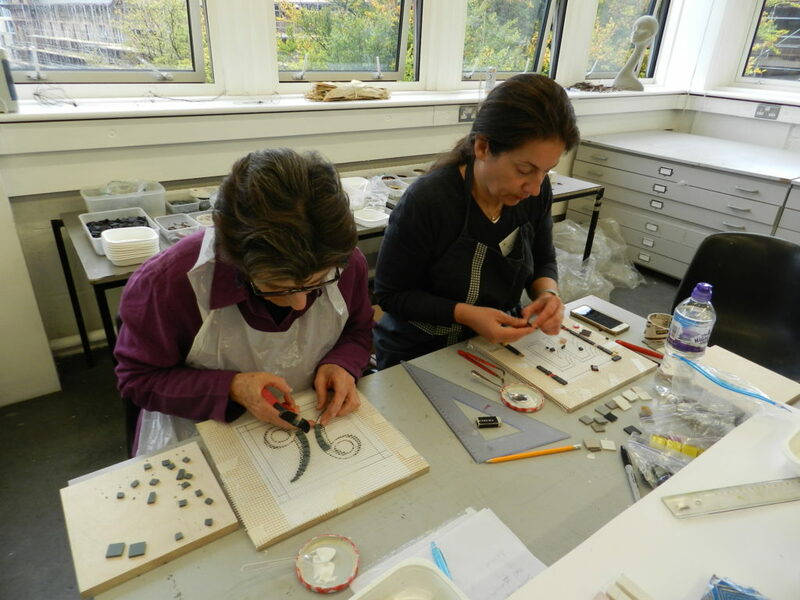 What’s included: Tools and equipment, a wide selection of materials from ceramic and vitreous glass to found objects, bases, adhesives, course notes andteas/coffees/biscuits. What to bring:An apron or big shirt, design ideas, materials such as sea glass, broken pottery and interesting pebbles if you prefer to use your own, a shallow box to take your work home and a packed lunch. Alternatively, there are a range of good cafes very close by with sandwiches and salad options. Days: Saturday, February 23, 2019. Contact and bookings: Helen Miles, helenmilesmosaics@gmail.com, https://www.facebook.com/helenmilesmosaics/, https://twitter.com/hmmosaics/ or mobile: 07719 415218. 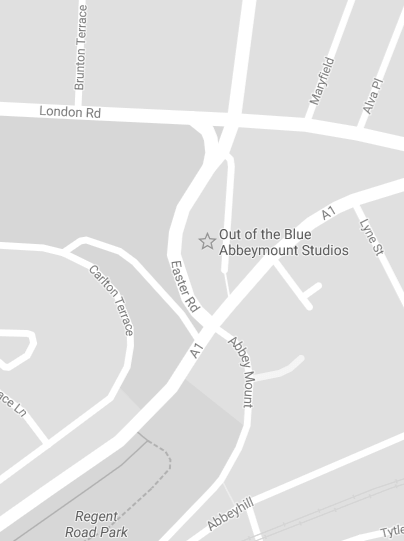 Please note: Due to studio rental costs, a minimum number of three people is required to run the course. In the event that the course is cancelled or postponed, you will receive a full refund. Payment by bank transfer or cheque must be in full at least one week before the workshop begins and is non-refundable if you are unable to attend unless I am able to fill your place. Alternatively, you can carry over your payment and attend the next available workshop. 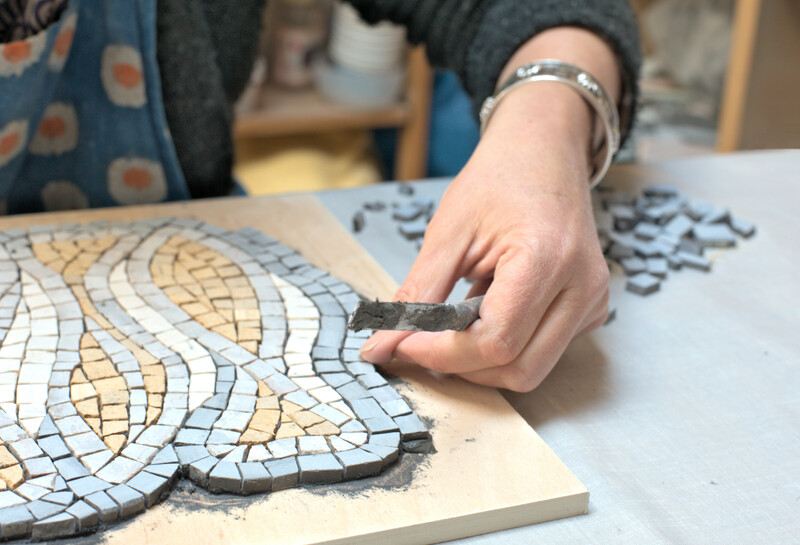 Together the methods will give you lots of flexibility and confidence to tackle a variety of mosaics projects. All tools and mosaic supplies will be provided but students are welcome to bring in their own materials for Part II.